Nearly a year ago, Loni Harwood won Event #60 of the 2013 World Series of Poker, earning $609,017 and her first gold bracelet. Harwood was apart of the bracelet ceremonies once again early Tuesday morning for Event #59 of the 2014 WSOP, but this time she was simply a participant in a FaceTime call with her boyfriend and winner, Phillip Hui. Hui, who was down to as little as one bet at one point, survived a very swinging final table and came back from a large chip deficit during heads-up play to win the event, $286,976, and his very own gold bracelet. The Texan briefly welled up with joy, and was all smiles as he wished Harwood goodnight. 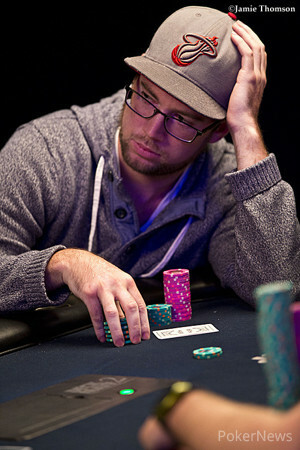 Zack Milchman finished in second place, earning $177,609. He had a more than 6-1 chip advantage on Hui during the heads-up battle, but Hui made a full house, quads, and a steel wheel, snatching the chip lead away. On the final hand, Milchman got his last two bets in the middle and flopped a wrap, but Hui made a single pair and held as the turn and river both produced bricks. The third and final day of this event began with 20 players, and bracelet winner David Williams was the chip leader. Tony Merksick and Mike Leah quickly exited, leading to a two-table redraw, and the next players to bust were Justin Bonomo, Marvin Rosen, Brendan Taylor, and Sun Kwak. Melissa Burr was the next to go, missing out on yet another final table by just a hair. She was grinding a short stack all day until she finally found herself all in and at risk against Jordan Morgan, who made trip sixes by the river to eliminate Burr. Steve Lustig and Scott Abrams followed Burr out the door, and we were finally at an unofficial final table of 10. The official final table bubble lasted nearly three hours, however, and most of the stacks at the table started to shrink. Don Zewin eventually busted in 10th place when Milchman scooped a very bizarre pot with effectively eight-six high, and after that the bust outs were fast and furious. Hui, who was in the middle of the pack, quickly chipped up then busted three players in an orbit; Joe Mitchell, Matt Glantz, and Jordan Morgan. The latter two were eliminated in the same hand when Hui flopped trip sixes and held against an over pair and straight and low draws. Start-of-day chip leader Williams was chopped up Milchman and Ismael Bojang, exiting in sixth place, and Hui then busted John D’Agostino in fifth place. All five of those eliminations took place in less than 30 minutes. All four of the final players held the chip lead at one point or another during four-handed play, and Bojang ultimately busted in fourth. The swingy play continued during three-handed action, with all three players holding the lead, and it was Michael Bess who bowed out in third place. That’s when Hui’s comeback began, ending with a gold bracelet around his wrist. Thank you for following our coverage of this event, but don’t click away from PokerNews too quickly. We still have coverage of all of the remaining preliminary bracelet events, and of course, the Main Event! Zack Milchman Eliminated in 2nd Place ($177,609); Phillip Hui Wins! 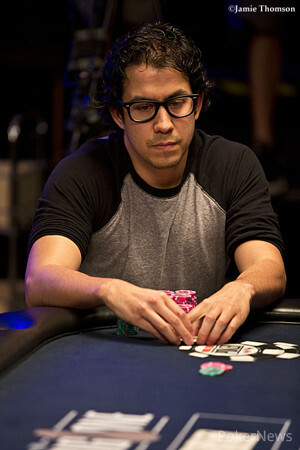 The last of Zack Milchman's chips would go all in and he was at risk holding against Phillip Hui's . The flop came to give Hui a pair of tens but any king, queen, or jack would give Milchman a Broadway straight. The turn was the and Hui was still in the lead. The river was the and the pair of tens would be good enough to win the pot and the bracelet as Milchman was eliminated in second place for $177,609. Zack Milchman completed and Hui raised. Milchman called. The flop came and Milchman check-called a bet from Hui. The turn was the and Milchman again check-called a bet. He would do the same on the river and would muck his hand after Hui quietly said "steel wheel" and turned over for a five high straight flush with the nut low. Milchman was down to 275,000 after the hand. 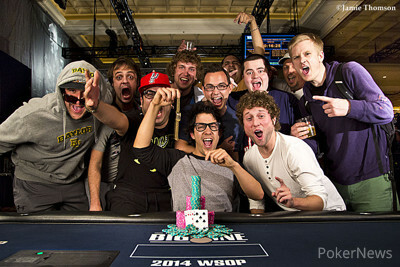 Phil Hui raised on the button, Zach Milchman defended his big blind, and the flop was . Milchman led out, Hui called, and the turn was the suicide king ( ). Milchman bet, Hui called, and the completed the board. Milchman fired a third and final bullet, Hui called, and Milchman shook his head. "I flopped a straight," Hui said, fanning . "And a set." Milchman mucked, and Hui scooped the pot. Phillip Hui opened for a raise and Zack Milchman called from the big blind. The flop was and Milchman check-called a bet from Hui. He would do the same on the turn and river and would muck his hand when Hui showed for the nut low with a heart flush. That scooped pot moved Hui up to 2.34 million in chips. Zack Milchman raised with the button, Phillip Hui defended, and the flop fell . 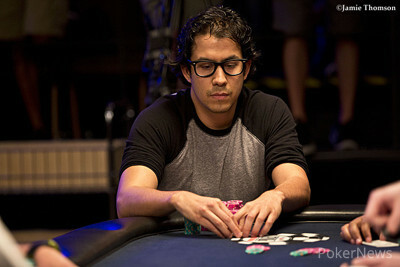 Hui check-called a bet, then check-called another on the turn ( ). The river was the , both players checked, and Hui won the pot with for a single pair of queens. The very next hand Hui raised, Milchman called, and the flop was . Milchman check-called a bet, then check-called two more on the turn ( ) and the river ( ). "Full house," Hui announced, opening . Milchman mucked, and Hui is now the chip leader. 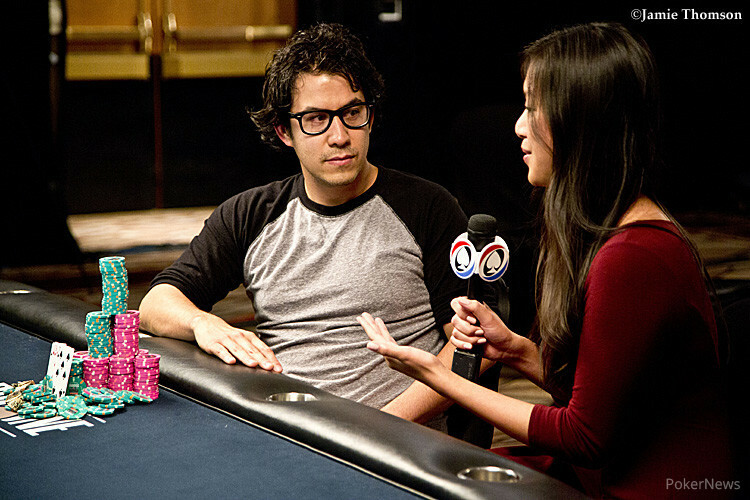 The two players saw a flop of and Phillip Hui bet and was called by Zack Milchman. The turn was the and both players checked. The river was the and Hui bet and was quickly called by Milchman. "Quads," said Hui as he turned over for quad threes. Milchman mucked and Hui moved up to 1.165 million after the hand. Phillip Hui was all in and at risk preflop with against the of Zack Milchman. Hui scooped with a flush as the board came , doubling through. Milchman then limped in on the button, Hui checked, and the flop was . Hui led out, Milchman called, and the turn was the . Hui led again, Milchman raised, and Hui moved all in. Milchman called. Hui was free rolling, and improved to a straight when the completed the board.